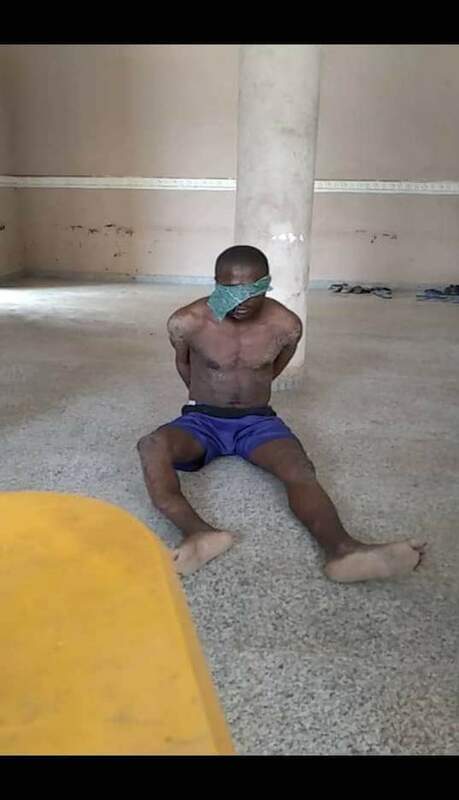 The 207 Quick Response Group (QRG) of the Nigerian Air Force (NAF) in Gusau on Wednesday, July 25, disclosed that it had arrested 16 suspected armed bandits while participating in the ongoing Operation SHARAN DAJI, which is under the auspices of Defence Headquarters (DHQ). 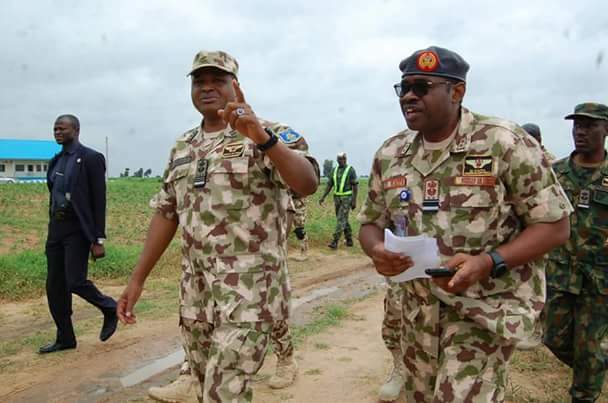 The outgoing Commander of the Unit, Group Captain Caleb Olayera, made the disclosure while receiving the Chief of the Air Staff (CAS), Air Marshal Sadique Abubakar, who was on an operational tour of the NAF unit in Gusau. The visit by the CAS, who also announced the deployment of more air assets to support the Operation, was part of measures being taken to add value to the current security architecture in Zamfara State in terms of air operations and NAF Special Forces Operations. According to Group Captain Olayera, aside from its ground operations, 207 QRG had been conducting air operations such as Intelligence, Surveillance and Reconnaissance, armed reconnaissance and Close Air Support, as part of its contributions to the DHQ-led Operation SHARAN DAJI. 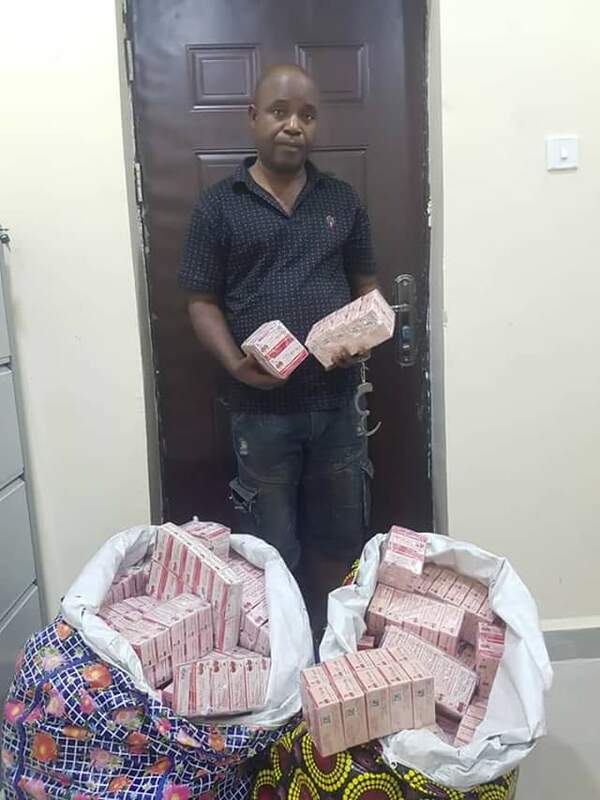 He further revealed that in the course of its operations, 207 QRG had also arrested a major hard drugs dealer, who was promptly handed over to the National Drug Law Enforcement Agency for prosecution. 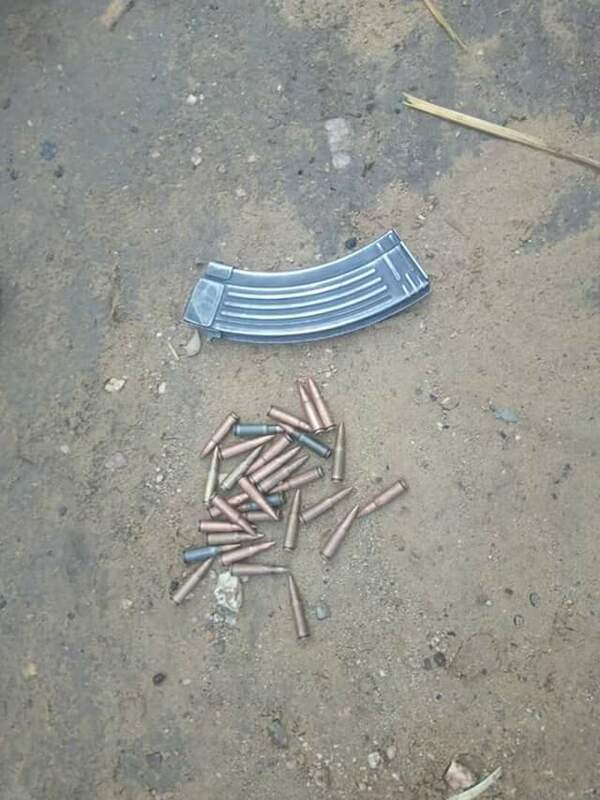 In addition, the Unit had recovered 3 guns, 7 cartridges and a magazine loaded with 30 rounds of 7.62mm ammunition from suspected armed bandits. 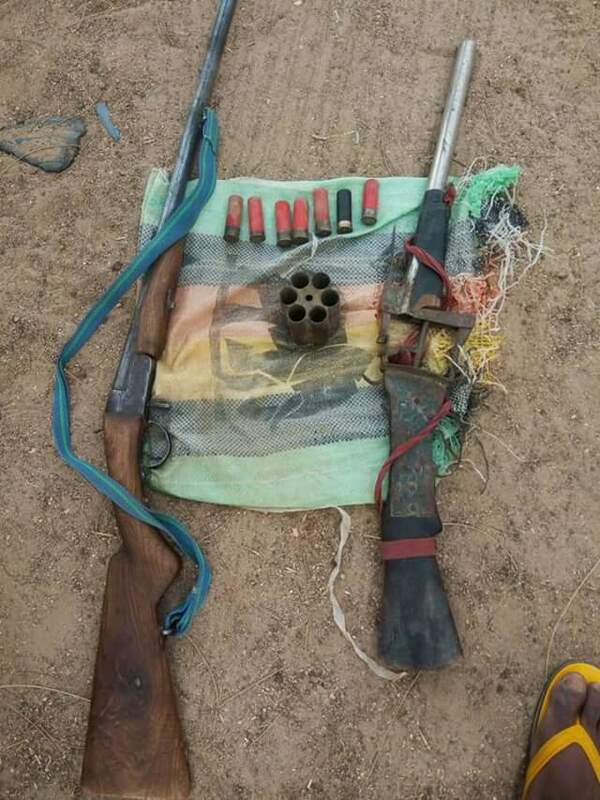 Furthermore, the NAF Unit had rescued 3 injured villagers at Boko Village as well as 5 policemen held hostage, in addition to liberating 3 kidnapped victims. The outgoing Commander thereafter briefed the CAS on challenges, which if resolved, would further add impetus to the ongoing operations. In his address, Air Marshal Abubakar commended the personnel of 207 QRG for their efforts so far in seeking to restore peace to Zamfara State. He equally saluted their constant bravery in the face of danger while reminding them that, as trained soldiers, they had a responsibility to protect the lives and properties of innocent Nigerians. He assured the personnel that the Nation appreciates their daily sacrifices and that President Muhammadu Buhari, in particular, was very mindful of them. The CAS then announced some new steps being taken by the Federal Government to enhance their welfare. 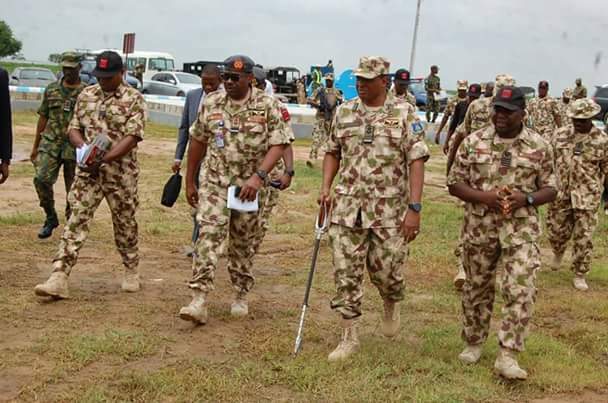 He also immediately gave directives to the senior NAF officers concerned towards immediately addressing all the challenges presented by the Commander as well as those identified by him in the course of the visit. In a subsequent interview with the Press, Air Marshal Abubakar said that the NAF needs intelligence from the populace to help in dealing with the security challenges in the State. He therefore urged the people to support the Armed Forces by providing credible intelligence on the locations of the armed bandits. The Air Chief acknowledged that the projection of air power had natural limitations, such as weather amongst others, but that notwithstanding, the NAF would continue to do its best, within the ambit of safety. 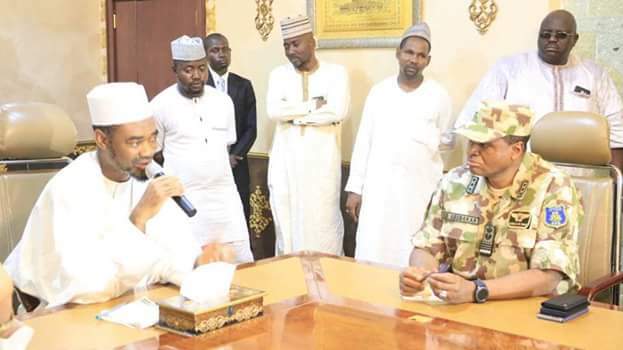 Air Marshal Abubakar and his entourage later paid a courtesy visit to the Government House in Gusau, where the Deputy Governor of Zamfara State, Mallam Ibrahim Wakala Mohammed, and other top Government officials received them. The Deputy Governor saluted the courage and efforts of NAF personnel deployed for operations in the State. According to him, the NAF personnel were striving hard to protect Zamfara State people and “indeed, we have witnessed steady progress in security”, he added. He also acknowledged and praised the personal commitment of Air Marshal Abubakar, whom he said, had visited the State severally. He then stated that more could still be done to ensure the security of the people and he accordingly requested for even more commitment from the NAF personnel deployed to the State. 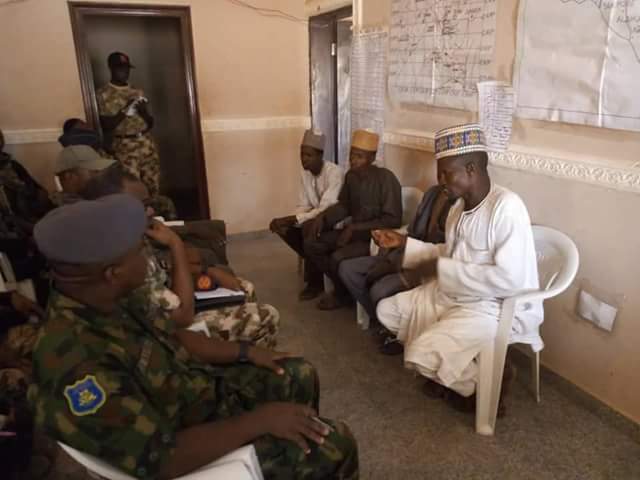 The CAS thanked the Zamfara State Government for its support and solicited more cooperation in the area of intelligence, which according to him is “critical to successfully combatting asymmetric challenges”. He then seized the opportunity to announce that more NAF personnel and air assets had been deployed to add value to the ongoing operations in Zamfara State and environs. The CAS and his entourage had since departed from the State.